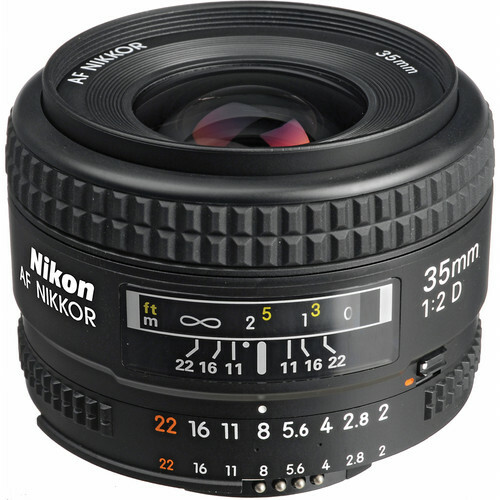 Retailing at only $390, the AF Nikkor 35mm f/2D is a bargain priced f/2 prime 35mm lens for the Nikon FX DSLR user. This light weight lens converts to a standard prime focal length when mounted on a DX format DSLR camera and serves the purpose of a go to lens. 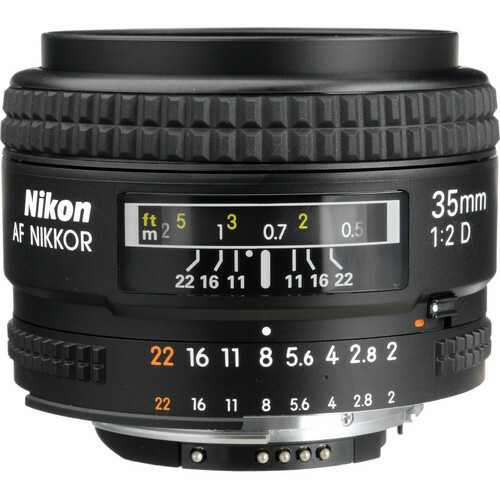 The AF Nikkor 35mm f/2D is compatible with most of the FX and DX format DSLRs and even 35mm film SLR cameras from Nikon. The fast f/2 aperture serves the purpose of a low light photography tool with ease. At f/2 it can gather more light compared to any other lens and that means the lens is perfect for tricky low light shooting. At the lower end the lens can stop down to f/22. 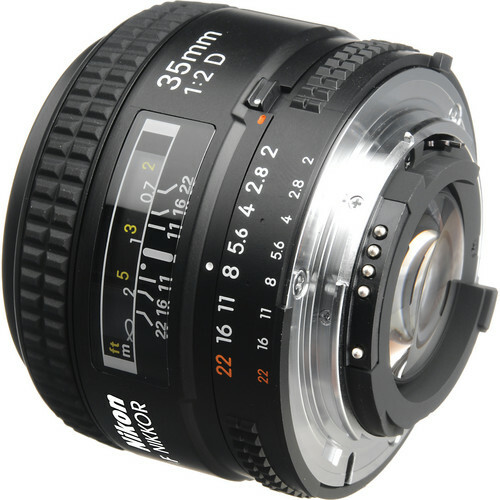 The minimum focusing distance is 0.85’ or 0.25 meter which is ideal for close range photography. Closest focusing distance 0.25 m/0.85 ft. Diameter x length(extension from lens mount) Appproximately 64.5 x 43.5 mm/2.5 x 1.7 in. Weight Approximately 205 g/7.2 oz.